Please let me have a moment of your time to tell you about my wife Sharon who desperately needs a lung transplant. Sharon has been a resident of Maine all her life. She has been blessed with nineteen grandchildren and three great-grandchildren. Sharon has always worked in jobs where she cared for others, first working with mentally challenged adults and then with the elderly in an assisted living facility. No longer able to work due to her health issues, Sharon now spends her time sewing and donates many of her finished items to abused mothers and children. She also enjoys spending time in the nursery at her church. Sharon’s children are now grown and live from Florida to Maine making the time with her grandchildren so very special to her. Eight years ago Sharon was diagnosed with Alpha-1 Antitrypsin Deficiency, an inherited disorder that leads to lung disease. It has now progressed to the point that she needs a double lung transplant. 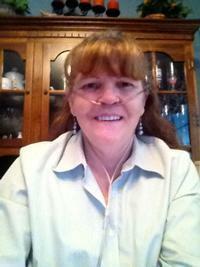 She has been on the lung transplant list for eight years. She was listed at Brigham and Women’s Hospital in Boston, Mass for seven years. Because of Sharon’s lung capacity decreasing and the lack of suitable donor lungs in our area, her doctors suggested that she sign up with a second hospital ; the Tampa General Hospital in Tampa, Florida. Which meant sell her home and moving to an area where they had no family support other then her daughter. Travel expenses, co-pays, life-long anti-rejection medications and other expenses are threatening to overwhelm Sharon. However, with less than 22 percent lung capacity even while on oxygen 24 hours a day, 7 days a week, her life is decreasing very rapidly. To help offset her uninsured costs, a fundraising campaign in Sharon’s honor has been established with HelpHOPELive, a nonprofit organization that has been assisting the transplant community for nearly 30 years. All contributions are tax deductible, are held by HelpHOPELive in the Northeast Lung Transplant Fund, and are administered by HelpHOPELive for transplant-related expenses only. 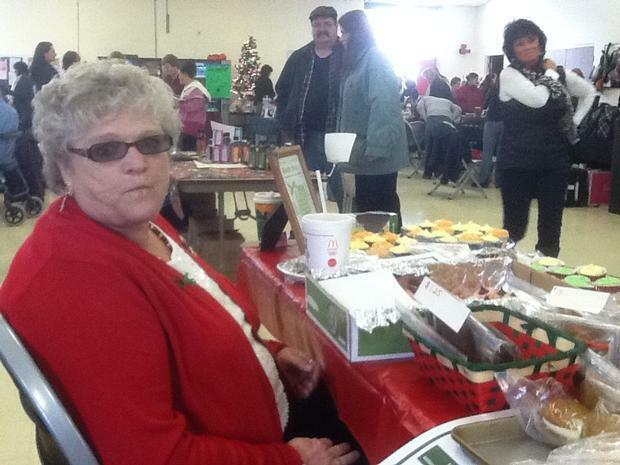 You can help make a difference in Sharon’s life. Please consider making a contribution.Sharon’s strongest desire is to once again enjoy life and attend her grandchildren’s graduations. Any donation you can make will help Sharon achieve this dream. We have been in Florida almost three years. Been traveling to Tampa General for multiple testing. I have been I for a lot of sickness but the good lord watches over me always. They say I am at the top within second or third place but it is still a long wait. Just wanted to update all on the progress or lack of. Have a blessed day. You were my sister-in-law once, now my sister in Christ. My prayers are with you. Congrats on your first bake sale success! Glad to hear Mr. Phil was kept busy - that way he couldn't get into trouble. Keep the faith - you'll get there. Great picture of you my friend. Nice updates. We are covering you in prayer and will be with you all the way. We will help wherever we can. Love you my friend.